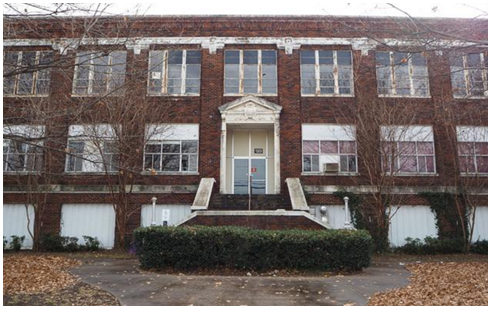 ​​​SHERMAN – The City of Sherman recently pledged its support for the plan to turn the former Sherman High School building, located at 120 West King St., into downtown apartments for senior individuals with low incomes. The development would be named Sherman High Loft. The city support provides Sari & Company, the developer, a letter of support it can take to the Texas Department of Housing for project approval. If that approval is received, the developer will be able to complete its housing project and receive tax credits that offset some of the cost of that project over the next ten years. However, the project must remain as affordable housing for at least 30 years. The project's estimated cost is about $11.5 million, which would be added to the property tax roll because this would be a for-profit entity that would run this building. The current assessed value of that land is only about $250,000.